Organic turkey broth made from filtered water and organic free-range turkey bones, organic onion, organic apple cider vinegar, organic carrots, organic celery, organic rosemary, organic sage, organic thyme, Selina brand Celtic sea salt, organic garlic, organic parsley. The warm, rich flavors of our organic turkey bone broth are the product of 24 hours spent slowly simmering, seasoned with organic onion, organic parsley, organic herbs, and organic garlic. 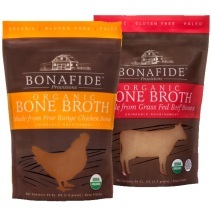 Organic apple cider vinegar is added to extract the maximum nutrients possible from the organic turkey bones. Rich in cysteine, a congestion-fighting amino acid, our turkey bone broth is more than a home remedy for colds and sniffles. This delicious and health-giving brew is loaded with readily bioavailable forms of calcium, magnesium, silicon, and sulfur, as well as trace minerals, glucosamine, and chondroitin sulphates. Looking for a morning pick me up? Try drinking bone broth instead of coffee or tea. The nutrients it contains will keep you going strong all day. For the holidays, or to keep the family eating healthy year-round, consider buying in bulk. 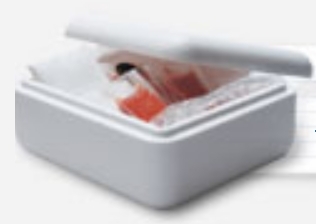 Share with friends and family, store extra quantities in your freezer, and never worry about running out!